They all run or are thriving businesses (social enterprises in a couple of cases). All needed working capital to finance their businesses, couldn’t access it from mainstream banks, so instead borrowed from the UK’s burgeoning Responsible Finance sector. And they are six of the finalists in the “Citi Microentrepreneurship Awards,” funded by the Citi Foundation and organised by my client, Responsible Finance. That means I’ve been handling press coverage for them, and I’m pleased to say that the aforementioned businesses have enjoyed positive coverage in a range of media – BBC, national, regional and local press, TV, radio, varied business and trade titles. They’ve been covered as they all have interesting stories to tell about their businesses and being named as finalists gives them (and me) a ‘hook’ to approach media with. The winners are due to be announced next March. Being shortlisted (and winning!) well-respected awards can give you a super springboard to secure positive media attention – and that media attention can do wonders for your reputation, reach, and relationships with new and returning customers. On the topic of Awards: I’m looking forward to strapping on my penguin suit and attending the Sheffield Business Awards this evening (7th December). Let’s hope it doesn’t snow tonight or there’ll be 950 slightly merry folk, dressed to the nines, trying to get home at 2 in the morning with no taxis able to navigate the slippy streets. Don’t tell anyone, but I happen to have a key to a nearby radio studio…that’s my emergency plan if the weather closes in! Alongside running my business I work as an associate through Keep Your Fork Ltd. Several KYF clients are finalists in the Sheffield Business Awards: fingers crossed! And fellow KYF associate, Lucinda White, has published some excellent advice about how to maximise the return on award successes which you can read here. 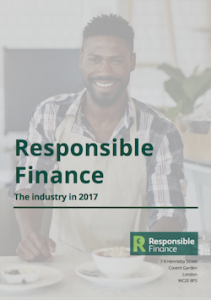 It’s publication day for an annual report which I’ve co-authored with the team at Responsible Finance. Their members lent £67 million to over 5,000 businesses and £142m to 363 social enterprises this year. If you’re interested, full details and a link to the report are here. The 28 page full report is separated into easy-to-digest chapters, with findings, recommendations, and even data to make nerds like me happy. Plus there’s a one page summary. Oh- and if you need me to help you to write any research or reports next year, then you know what to do! If you like reading useful, practical advice – that’s also entertaining, then you’re welcome to join my free newsletter email list (if you’re not already signed up). Just pop your details in below.